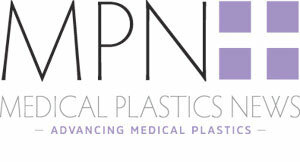 Since 1982, Mission Plastics Inc. has been working in custom injection moulding and precision tool making, manufacturing a wide variety of sophisticated products for medical industry customers and others. Mission Plastics has made the announcement that it has received ISO 13485:2003 certification, an internationally recognised quality standard for design and manufacture of medical devices. The International Organization for Standardization (ISO) is the world's largest developer and publisher of international standards for quality management systems and other technical and operational procedures. Mission's ISO 13485:2003 certification is the established quality standard for manufacturers of finished medical devices and/or critical components within a medical device platform. Mission Plastics has been ISO 9001 certified since 1996. This ISO certification further assures medical industry customers that all products designed and manufactured by Mission are delivered with the highest level of quality control. Since 1996, Mission Plastics has been ISO 9001 certified, this ISO certification further assures medical industry customers that all products designed and manufactured by Mission are delivered with the highest level of quality control.